Subsequent to the release of FOSJOAS self-balancing two-wheel electric scooters V9 and U3, FOSJOAS K3 is another revolutionary model of two-wheeled self-balancing scooter. Apart from the two-wheeled structure, FOSJOAS K3 owns many characteristic features. It can be said that FOSJOAS K3 represents FOSJOAS originality to good advantage. From the perspective of the exterior look of FOSJOAS K3, the sitting-posture mode is in original and innovative not only in FOSJOAS but also in the whole sector. The numerous predecessors of FOSJOAS K3 all adopt the standing-posture mode. Although FOSJOAS U3 and V9 made a great progress, they still restored the old-style mode. The standing-posture mode has its drawback. Having covering a long distance, the rider always feels tired and fatigued. The long-distance trip blurs the enjoyment brought by FOSJOAS scooters. As a result, the previous models are not suitable for a long trip. Fortunately, FOSJOAS K3 completely turns around the situation. It reverses the standing-posture mode. FOSJOAS K3 dispenses with the standing-posture mode and introduces the sitting-posture mode. At the same time, electric self-balancing scooter FOSJOAS K3 is outfitted with a comfy leather saddle. The saddle-equipped FOSJOAS K3 gets ushering in the phase of sitting-posture mode. It is historically meaningful. 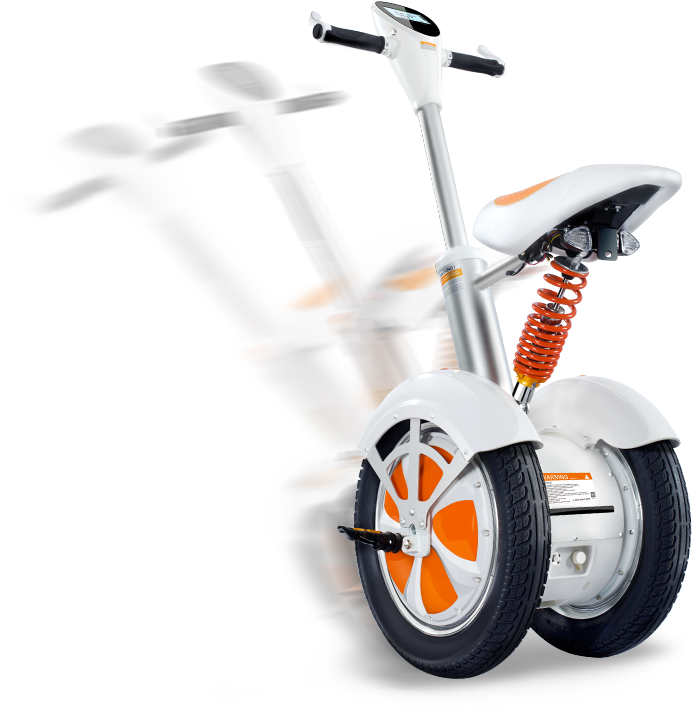 Another breakthrough is the ability of FOSJOAS K3 two wheel scooter to connect to the mobile phone. Any electronic product shows the trend to be connected to the mobile phone. The modern young men cannot go with the mobile phone. Given a mobile phone with APP, they could live for a long time. The trend of APP is an inevitable trend. FOSJOAS had hate to miss out on the opportunity and invented K3. FOSJOAS K3 represents the intelligence of scooter in a veritable way. On APP, the user could lock or unlock his K3, locate his vehicle with GPS on APP and check the mileage, battery status and speed.